which focused on the New Zealand media and marketing landscape. To support AdNews subscribe here. Tasked with luring visitors to its gloriously uncrowded islands, New Zealand's tourism body may not be blessed with big budgets, but it does have big ideas. 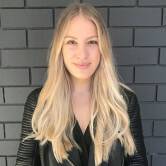 After spending most of her career at creative agencies, Brodie Reid made the jump to client side 12 months ago, joining Tourism New Zealand (TNZ) as its global brand and content manager. The organisation is home to one of the world’s most iconic advertising campaigns, '100% Pure New Zealand', which has been a huge success for the brand since conception in 1999, promoting magical scenery that featured prominently in *those* film trilogies. The country's tourism industry is now booming, peaking at 3.5 million visitors on top of New Zealand's population of 4.8 million - an increase of 12% year-on-year. Under Reid’s leadership, TNZ appointed Special Group to work on the project. 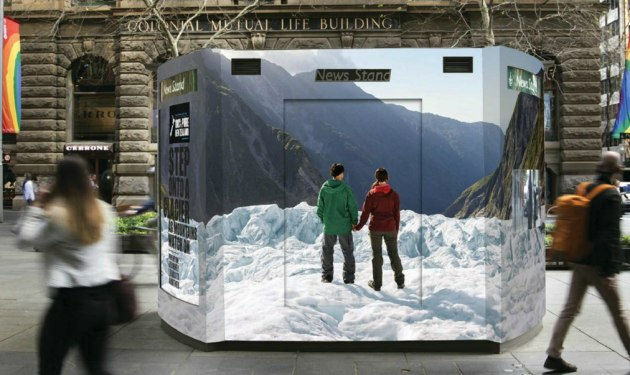 Its most recent 100% Pure campaign came from TBWA Sydney, which the brand continues to work with. 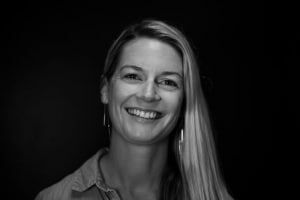 AdNews spoke to Reid about what it’s like to play such a pivotal role in shaping the future of tourism for our neighbour across the ditch. How does it benefit you in your current role having experience at agencies like Saatchi & Saatchi and Colenso? I absolutely loved my time at both Saatchi’s and Colenso. They are both amazing creative agencies and the people I got to work with and learn from have set me up for life. My current role requires me to buy into the absolute best creative ideas to try and make New Zealand the world’s best destination storyteller, so my years at those creative agencies have been invaluable in helping me to recognise and foster beautiful concepts that lead to amazing executions for brands. How has it been switching from agency to client side? It’s been a fantastic learning curve. I love a good challenge and working client side has really opened my eyes to the brilliant creative opportunities that come up every day. The trick is choosing the right ones that are really going to deliver amazing outcomes for the business. How has your latest campaign featuring the NZ Prime Minister been received? The '#GetNZontheMap' campaign, which featured PM Jacinda Ardern questioning why New Zealand wasn’t on the map, really did just that. We had more than 10 million views globally with zero media spend. It all stemmed from a genuine truth that we were getting left off maps all over the world. And when people realised that, they were as gobsmacked as we were, so it drew a lot of attention. The 100% Pure campaign has been running for years and is iconic in NZ advertising. How do you refresh the approach each year? I believe the reason the campaign works is because at its heart it has so much depth. The people, the culture, the experiences and the stunning landscapes all make up a 100% Pure New Zealand experience and we’re constantly looking for new ways to bring that to life. We’re currently looking at an evolution of the campaign, which will bring more of our unique people and culture to the fore, so it’s just about making sure we’re doing justice to that depth of concept and uncovering new stories all the time. How does TNZ stand out in a cluttered category? We have such a unique holiday experience to offer our visitors here in New Zealand, and we hear all the time from them that it’s the people that really make that one experience stay with them forever. My job is to bring to life those amazing stories and make sure they’re unique in their execution so that they do stand out, not just in our category, but against all the other awesome stories being told by brands around the world. What's the biggest challenge facing marketers today? The biggest challenge is finding and buying into ideas that are exceptional, not just good, but things that will really get you no- ticed. It’s very easy for people to get caught up in the data and forget that at our core we are human beings who want to be wowed with amazing stories that come from the heart. Use the data to inform ideas, sure, but be brave and buy ideas that give you and your audience goosebumps. This first appeared in the October issue of AdNews Magazine which focused on the New Zealand media and marketing landscape. To support AdNews subscribe here.